Thirteen years ago Capcom revolutionised the survival horror series with one of the scariest games ever made called Resident Evil. 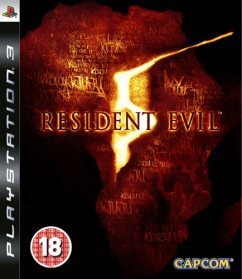 Resident Evil 5 is the seventh instalment to the survival horror series. The game stars the original character from the first game, Chris Redfield, and a new character, Sheva Alomar. Resident Evil 5 is a reinvention of Resident Evil 4 with extra abilities and a cooperative mode allowing you to play the game with a friend. The objective of the game is to stop a deal involving biological weapons going down in Africa. The storyline closes out Chris Redfield’s history and explains what has happened to him since the mansion incident in Resident Evil 1. This is specifically designed for people that have been playing the previous Resident Evil’s as the story keeps going back to the past events. Resident Evil 5 looks stunning. The performance of the game is brilliant as there are constantly swarms of infected people chasing you. The graphics have been built on the new generation of consoles so all the characters are very detailed. The texturing of the environment is great and the lighting is near perfect. The game-play mechanics haven’t really changed that much to Resident Evil 4.The game is played over the shoulder, you still have to stop and point the gun to line up your shots like the previous versions. There has been one nice addition, which is the characters can side step. Even though it doesn’t seem like much of an addition it makes controlling the characters so much easier. While the mechanics are similar to Resident Evil 4, the actual game play itself feels very different. The first noticeable difference is the fact that there are two characters throughout the game. This causes situations like covering your partner, or rescuing them from an infected villager, situations that would have never happened in the last game. Also you can now solve puzzles with your partner by using them to lift you up onto a ledge that is too high to reach. Both characters can store up to nine items each and can be exchanged at anytime during the game. One massively noticeable difference is when you go onto your inventory. All Resident Evil games up to this one would pause, giving you the time to think about the items you want to use. Now the action still carries on, so you cannot rely on having a break during a battle. Having limited storage for items causes you to play the game much more tactful as you have to really think about what items will be useful for you in that moment. The infected enemies, known as ‘Majini’ are constantly coming at you from all directions, so you have to keep alert at all times. The Majini are much more intelligent than the normal zombies and at some points in the game actually have guns (now you don’t see that in Left 4 Dead). The boss fights are very hard and entertaining. They usually end after you have focused on a weak point which is similar to many other games. The game has around 12 hours of game-play and can be played online or split screen with a partner. The game is much more enjoyable playing with a partner. Once you have completed the game you can go through the entire game again unlocking more costumes and infinite ammo for the weapons or play the mercenary levels. In conclusion Resident Evil 5 is a great game with a new cooperative game-play feel to the franchise. This game however doesn’t feel like a Resident Evil game. The game is fast paced and you always feel like you can take out as many enemies as there are. This is what is different from its predecessor which is about being alone in a creepy atmosphere, hoping to find some bullets for your gun. Knowing you have a partner to always protect you really changes the feel of the game as well. Resident Evil 5 is a great action game; it just isn’t a Resident Evil game.